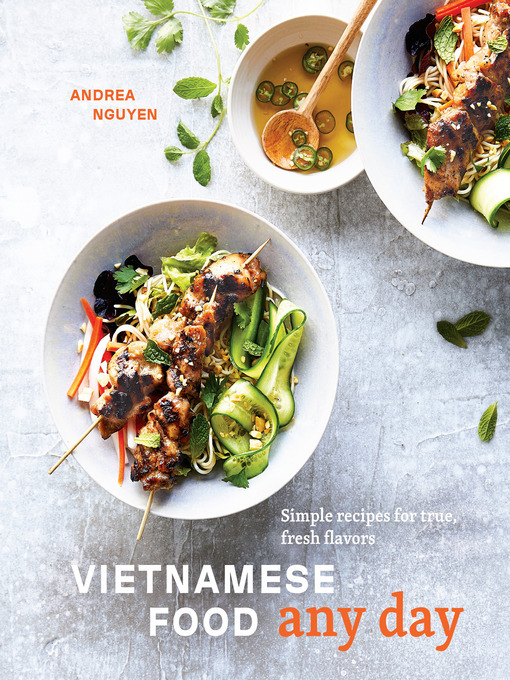 Drawing on decades of experience, as well as the cooking hacks her mom adopted after fleeing from Vietnam to America, award-winning author Andrea Nguyen shows you how to use easy-to-find ingredients to create true Vietnamese flavors at home—fast. With Nguyen as your guide, there's no need to take a trip to a specialty grocer for favorites such as banh mi, rice paper rolls, and pho, as well as recipes for Honey-Glazed Pork Riblets, Chile Garlic Chicken Wings, Vibrant Turmeric Coconut Rice, and No-Churn Vietnamese Coffee Ice Cream. Nguyen's tips and tricks for creating Viet food from ingredients at national supermarkets are indispensable, liberating home cooks and making everyday cooking easier.